At present there is one SOS Children’s Village, one SOS Youth Facility, one SOS Kindergarten and four SOS Social Centres in Algeria. Algeria is known as the gateway between continental Europe and Africa. Despite the discovery of large oil and gas reserves, vast parts of Algeria are deeply immersed in poverty. In Algiers, thousands of street children are struggling to survive without any support from their families. SOS Children's Villages has been reaching out to the country's young people and children in order to support and protect them. 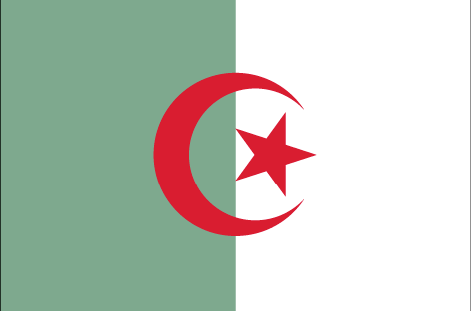 Algeria is a country located in the Maghreb region of Northern Africa. It shares borders with Libya, Niger, Mali, Mauretania and Morocco. The Sahara desert covers more than four fifths of its territory. The country is home to 34 million people, who predominantly live along the northern coast where the capital, Algiers, is located. Over one million lost their lives in their fight for independence from France in 1962. For many years, Algeria was marked by political instability. Following the general elections in 1992, a disastrous civil war erupted in which more than 150,000 were killed. Over recent years, terrorists have been involved in a number of kidnappings and bombings. Poverty is still widespread in present-day Algeria. More than 50 per cent of the country's rural population live below the national poverty line, as unemployment remains particularly high in rural areas. Several years of internal conflict further deepened poverty in rural Algeria. Poverty translates into a lack of access to decent housing, sanitation facilities, education and medical infrastructure for hundreds of thousands who are struggling on the bottom steps of the socioeconomic ladder. Poor standards in public services continue to spark popular dissatisfaction. Although not to the same extent, the precarious socioeconomic situation also affects a significant portion of the country's urban population. Algeria has been known for being a transit, destination and source country of forced labour and human trafficking. In most cases, Sub-Saharan Africans enter Algeria with the assistance of smugglers in order to continue their journey to the shores of Europe. The majority of these people live in unimaginably precarious conditions. According to a number of reports, the problem of human trafficking will continue to grow as Europe has further tightened its borders. Despite a number of improvements over recent years, the human rights situation in Algeria remains subject to criticism. Freedom of the press is still limited and the situation of women in the country has been an issue of concern. The Algerian "Family Code" has been criticised by numerous human rights organisations as it profoundly constrains women's rights. In rural areas, underage marriage is common, though not legal, and guardianship rules for women who want to marry remain strict. Algeria is home to roughly 550,000 orphaned children who have lost either one or both of their parents. A large number of these children grow up without parental protection and care or in dysfunctional family structures. Social exclusion, poverty and a lack of family support drive thousands of children into criminal clutches. Orphaned children are particularly vulnerable to all forms of exploitation. According to reports, child abuse remains a widespread problem in Algeria. Many cases go unreported and implemented laws against child abuse have led to very few prosecutions. Education in Algeria is generally free and compulsory for all children up to the age of 16. High unemployment and comparatively high school drop-out rates among the country's children and young people means that many turn to juvenile delinquency. Most of the children who engage in child labour do not go to school and consequently don't receive basic education. Following a massive earthquake in October 1980, SOS Children's Villages took the decision to become active in Algeria. In 1981 we began working in the centre of Algiers, the country's capital. An SOS Emergency Relief Program had to be started in May 2003 after a massive earthquake shook the country's northern coast. Thousands of homes were destroyed due to the disaster. SOS Children's Villages provided food items, hygiene products, sleeping bags, clothes and other items needed by the victims of the quake. In 2005, an SOS Family Strengthening Program was started, enabling children who are at risk of losing the care of their family to grow up in a loving family environment. At present, the organisation is supporting Algerian young people and children in Algiers by providing day care and medical assistance. Children whose families can no longer take care of them can be looked after by an SOS mother in one of the SOS families.